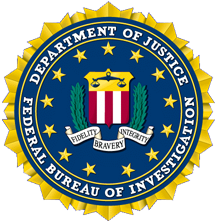 The FBI Warning is a Hoax; Don’t Pay! A friend recently sent a link to an article about the FBI warning that’s been going around. If you get it you will get a full screen warning with the FBI logo (left) displayed. The article mentioned deserves a read for an explanation of this attempt to extort payment for defiling computers. It seemed appropriate to submit a response to let the public know what could be done to get rid of it as follows. I’ve been seeing the FBI malware for months and using the following process to get rid of it. Upon return to the desktop, Download, install, update and run Malwarebytes to do malware cleanup. After System Restore completes download, install, update, and run Malwarebytes. If System Restore has no restore points available, you will need to remove the hard drive and scan it in another system. I use a system dedicated to the task of fixing these kinds of problems and keep a full image backup in case of infection. When your computer has returned to normal function, you may think you are done, but first you should update your antivirus and run that. Then clear your System Restore files (another involved process), so you can’t go back to having a problem or try to use restore points that have lost corrupt files to either the antivus or Malwarebytes. Now restart and turn System Restore back on.